Councillor John Mulvihill has been chosen as Labour's candidate in their attempt to secure a second seat in Cork East. Mulvihill was elected to the four-seat constituency in 1992, though he was unsuccessful in his attempts to secure re-election in 1997, 2002 and 2007. 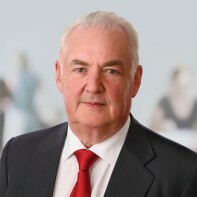 He is currently a member of Cork County Council, a body to which he was first elected in 1991. Mulvihill is a former member of the Irish Naval Service.